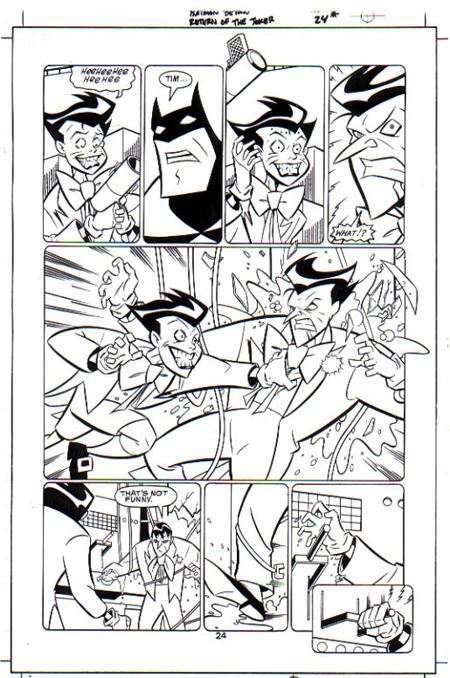 One of the most infamous changes to animated comics was the redone page that Craig Rousseau had to do for the Batman Beyond: Return of the Joker comic adaptation. Due to the changes in the movie, changes had to be made in the comic as well. Below is the page that had to be changed, as well as the page it was replaced with. 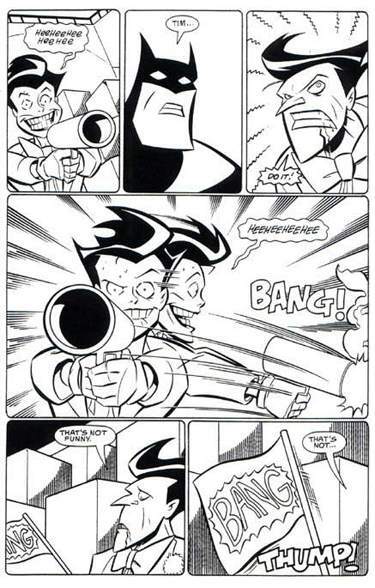 To the left is the revised version that appeared in the comic adaptation. On the right is the original sequence. Click on the images for bigger pictures.